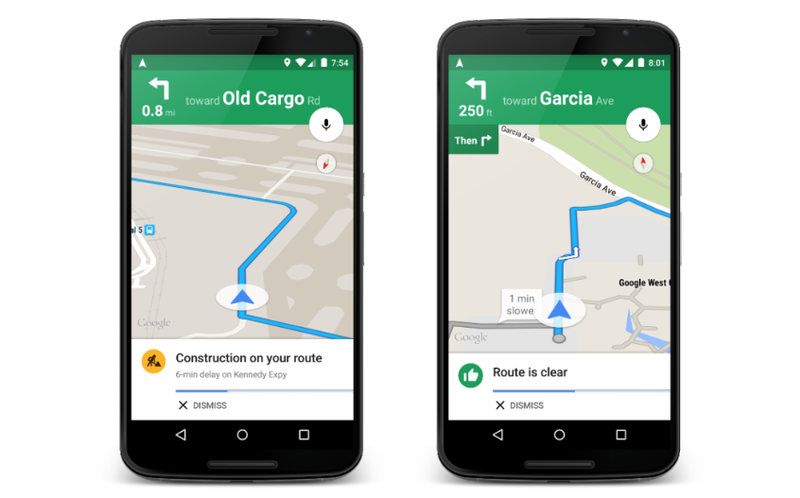 Google is expected to rollout updates for its Google Maps applications on mobile sometime soon. The biggest improvement in the new version will be traffic alerts and it's awesome! According to Google, in the new update, "when you input your destination, you'll get an explanation of upcoming traffic conditions that helps you identify the quickest route." And if you've already begun your journey, Maps will alert you if there's congestion on the route ahead, and tell you how long you'll be stuck. If you don't have time to spare in a traffic jam, you can use an alternate route to get around it. The new feature will also provide you an explanation on why each alternate route is recommended. Getting accurate traffic alerts will be a great new addition to already the best navigation application available on both iOS and Android. Look out for the update to your Google Maps application with the new improvements in Google Play or the App Store in the next few days.